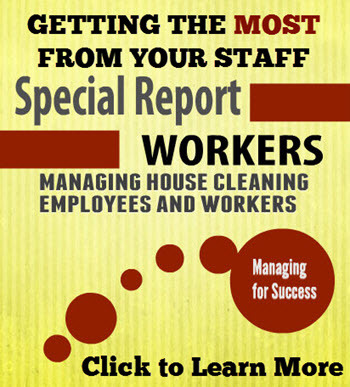 One of the top issues in residential cleaning is the hiring process to grow your business. If you haven’t managed people the process will leave you shocked and frustrated with a lot of questions. 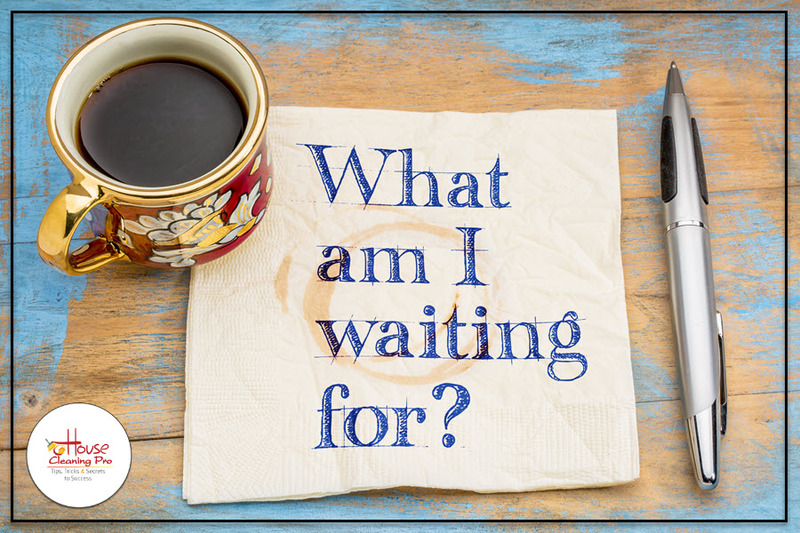 One thing you want to avoid is sitting around waiting for interview candidates who never show! This is a lot of work and if not done correctly could cost you time, energy, and even money. On top of this, you have to deal with scheduled interviews who don’t show up or cancel at the last minute. Even if they manage to make it to the interview, some pull the same tactics and don’t show up for the training or first day of work. People have a lot of reasons for not showing up. It’s your job to anticipate their actions and plan accordingly. Let’s face it… for many, cleaning houses is the last type of job they want – but – they need a job. They’re willing to take it if they can make a few dollars until something better comes along. Once a person passes the interview, you schedule training session(s) while the new employee has time to think. They think about the challenges ahead and may decide it’s too much work, but they’re too embarrassed to call or text to cancel. Ditto for showing up for the first day of work. They’ve had a chance to experience your procedures and techniques and may become overwhelmed. Being on your feet all day is hard work and they may realize they’re not suited to it. These are the challenges you need to realize and address when setting up interviews, training, and scheduling work for new comers. Qualify Applicants – You can save yourself a lot of time by scheduling a phone interview with an applicant. This gives you the chance to provide them with the job requirements, the pay range, work hours, and information on the training that you provide. You both have a chance to ask questions and you get to determine if the applicant would be a good fit for your business and your clients. It’s well worth the time you invest in this step to get to know applicants before scheduling time in your day for a more in-depth interview. Set Expectations – If the candidate passes your initial phone interview, take the time to learn if they are interviewing any place else. This may impact your schedule and the date you set for your interview. For the right person, you want to grab them as quickly as you can, before they have a chance to change their mind or accept another offer. Ask them to notify you if they need to cancel the interview with you. Follow-Up – Once you have set an interview date, take the time to send out a couple of reminders. This gives the applicant the chance to let you know they will or will not show up to a scheduled interview. Make the Interview Location Neutral – It can be a threatening for people to arrive at your home for a job interview. If you don’t have an office, consider scheduling the interview at a near by restaurant. This worked out very well for me as candidates felt safe arriving at a public location to meet someone they didn’t know. Be Flexible on Interview Days and Times – Some candidates may already have a job and are looking for something better. Be ready to make yourself available before or after work hours or even on the weekend to make it convenient for them. People who are willing to skip out on their current job for an interview should set off alarm bells for you. These are people who would do the same to you. Those who treat their current employer well will more than likely give you the same consideration on-the-job and less likely to renege on scheduled jobs. Open Interviews – Nobody likes to wait on people to show up. You can get more out of the time you set aside for interviews by scheduling open sessions. This means you plan to interview on-demand at the appointed time which could be a few hours in the morning or afternoon. Post the opportunity on your social media accounts, place ads in local publications, and send out eMails. You can even include prior candidates you interviewed who were acceptable, but didn’t take your job offer. This worked out best for me on Saturday mornings before people got busy for the day. Follow-up Survey – Take the time to contact candidates who cancelled or failed to show. You’ll gain valuable information you can use to adjust your process. This may be hard to do, but you should try. You want to know if there is anything you can do to enhance your hiring process to reduce no-shows and cancellations. You can’t do that if you don’t find out what influenced their action. The best way to do this is to make it convenient for them to respond. They won’t want to fill our a lengthy survey, but they may respond to a text message. Use Referrals – I had very good success by offering a referral bonus to my employees. Don’t think you’re going to be able to use this for all your hires as not many people want to do physical labor. This at least provides you with employee leads from people who know them and are willing to make the referral. This reduces the chance of the referral ending up an interview no-show as they won’t want to make your employee look bad. Also consider referrals from people you already know. Hair dressers are exposed to a lot of people every day and can be an excellent source for a referral. I entered into a formal agreement with my hair dresser, provided her with a “script” of what I was looking for (this gave her talking points), and paid a referral fee for those I hired. Employment Agencies – An employment agency can do the screening for you and provide you with candidates for you to interview. I found these worked best for administrative staff. For cleaning staff I used a temporary agency. This gave me a chance to be selective, hire for short periods, and the ability to end the position for any reason. Hiring the temp worker on a permanent basis is usually not allowed directly; you must go through the agency so be sure to get their terms first. Using a temporary agency helped me grow my business. Once I had a working relationship with the agency, I was even able to get a temp worker on a day when I was short staffed. Once you have a candidate who made it through your interview, you need to schedule them for training. I hired my applicants on a temporary 8-week basis. This meant I wasn’t stuck with an employee who didn’t work out. 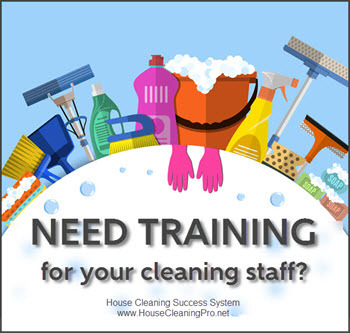 You never know how well people will progress from training to working in your client homes. Having a defined process to train your new employees and assess their performance is a necessity. This provides you with the ability to document how they do and present them with a list of improvements the need to make. Take the time to discuss this with them and get a feel for how they feel about it. They may be able to provide you with valuable feedback and insight to know how to work with them – or not. There were many times a candidate wasn’t progressing through training and I was able to discuss the specifics with them from the training checklist I used. Some were willing to improve and others just weren’t interested. This saved me valuable time that I would have otherwise spent on additional training sessions and eliminated training no-shows. Training doesn’t necessarily show you how the candidate is going to perform in your client homes. You don’t want to take the chance of sending them out on their own and having a valuable client complain. For this reason, I always schedule a new employee to work on an existing team. The team lead would continue the training I had started and provide me with a feedback checklist I used to assess the candidate. Hiring new workers is always challenging and stressful for you and your existing employees. By managing the process you can reduce the stress on your business and your employees. The goal should be to avoid hiring the wrong person before sending them out to service your valuable clients. The Employee Handbook Bundle is a set of manuals pre-filled with the information needed to train employees. This includes legal boiler-plate and cleaning details. These are delivered in Word and are fully editable by you to customize them for YOUR business. 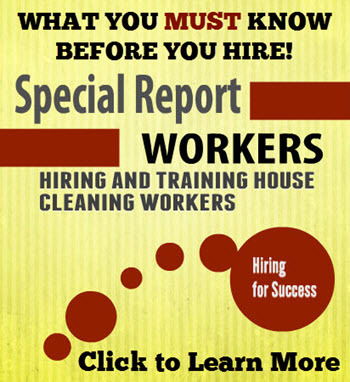 House Cleaning Help Wanted: What is Your Favorite Interview Question to Ask Candidates? 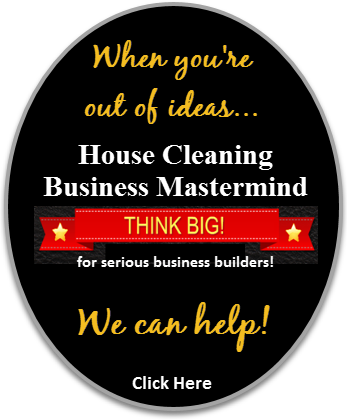 Should You Hire Workers for Your House Cleaning Business?